Even before I started to write this blog, I made it a point every year to go to the Architectural Digest Home show in NYC which takes place on Pier 94 on Manhattan’s Upper West side. There is a vibe of creativity that is like no other show encompassing the highly unique DIFFA Dining byDesign, (see last years post) the unique MADE section which highlights artisans, craftsman and artists innovations, and a fabulous area of kitchen/bath and hardware. 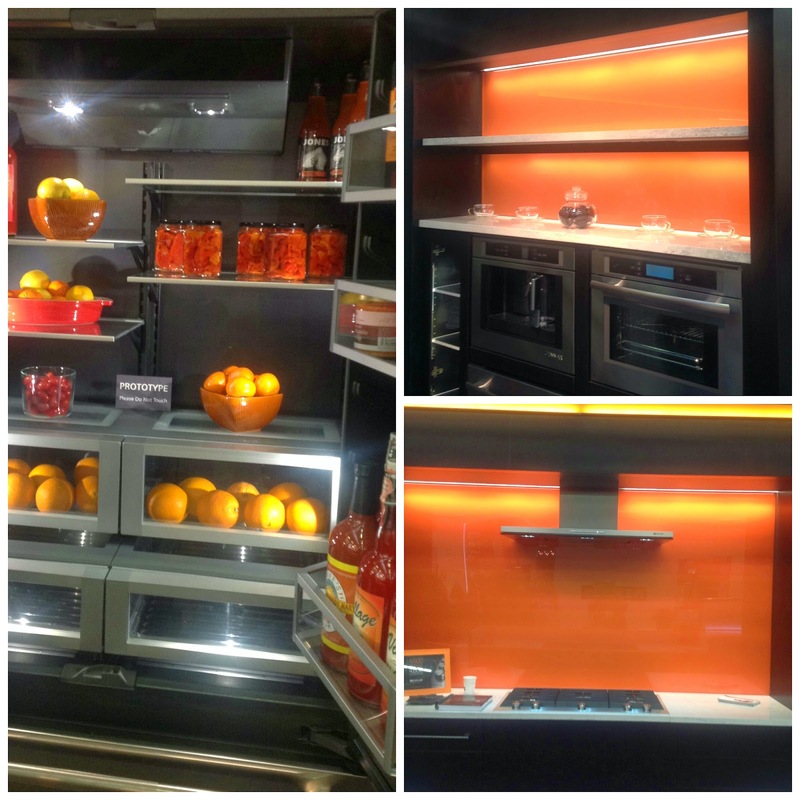 Beautiful doses of brilliant color scintillated the show but it was orange that was the smash hit in the modern kitchen section....ranges, refrigerators, back-splashes... oh my! Paired with neutrals such as grays and whites, orange adds personality, warmth and vibrancy. These Bertazonni Pro-Style Dual Fuel are beauties! 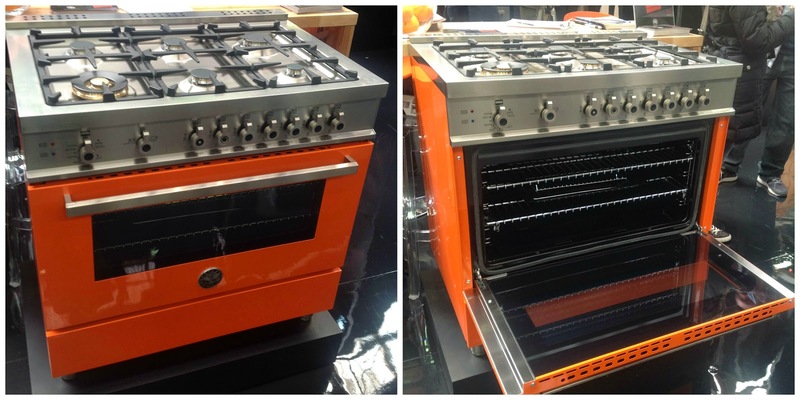 These ranges showcase cool technology with a stunning orange color inspired by the foods of the Emilia-Romogna region where Bertazzoni manufactures all of its products. When I opened the Jenn-Air refrigerator, to my surprise there was a stunning deep charcoal interior! Love it! It was a very sophisticated look and gives the food more visual pop, especially with styled orange display inside! 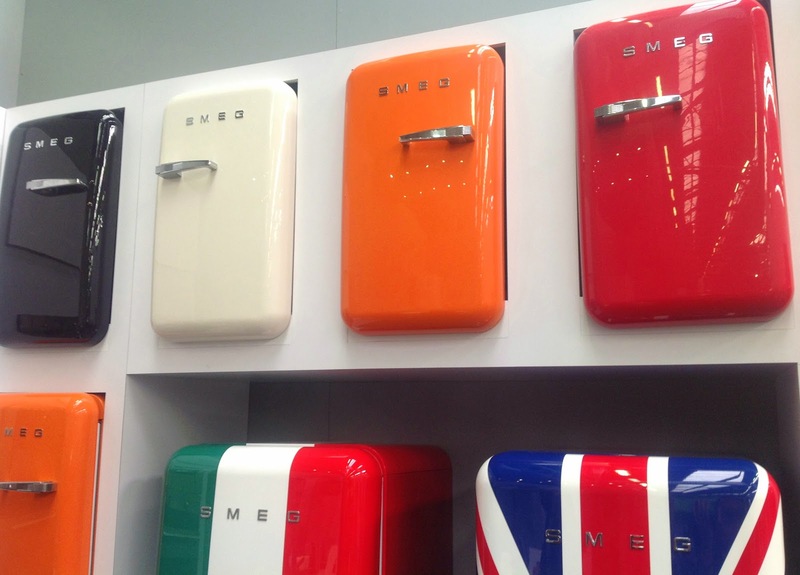 Smeg refrigerators have that cool 50's retro feel and their colors would enliven any kitchen space. The orange really caught my eye!